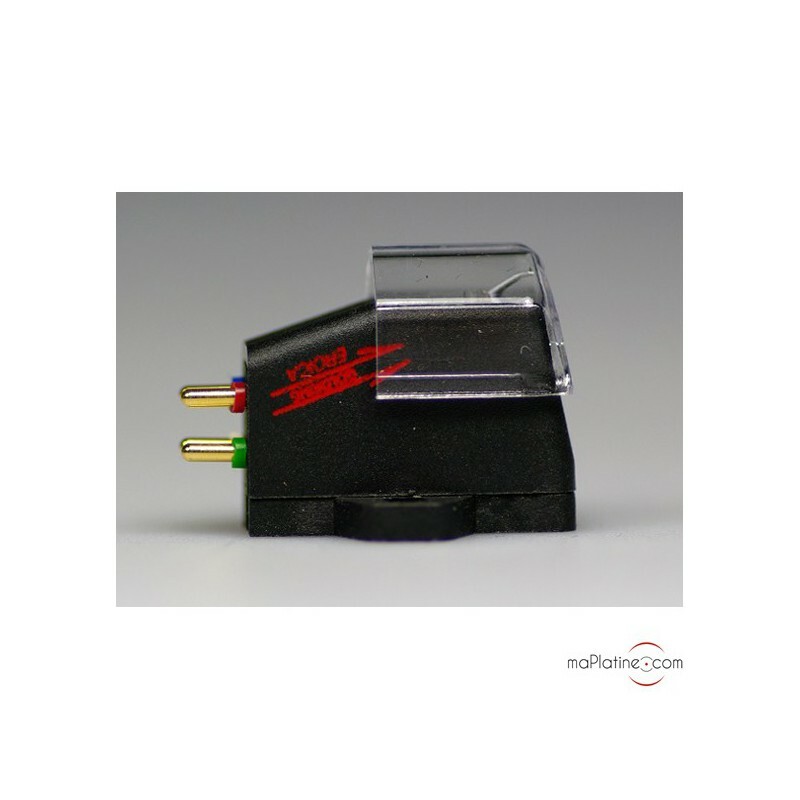 High output moving coil cartridge, no MC preamplifier required. 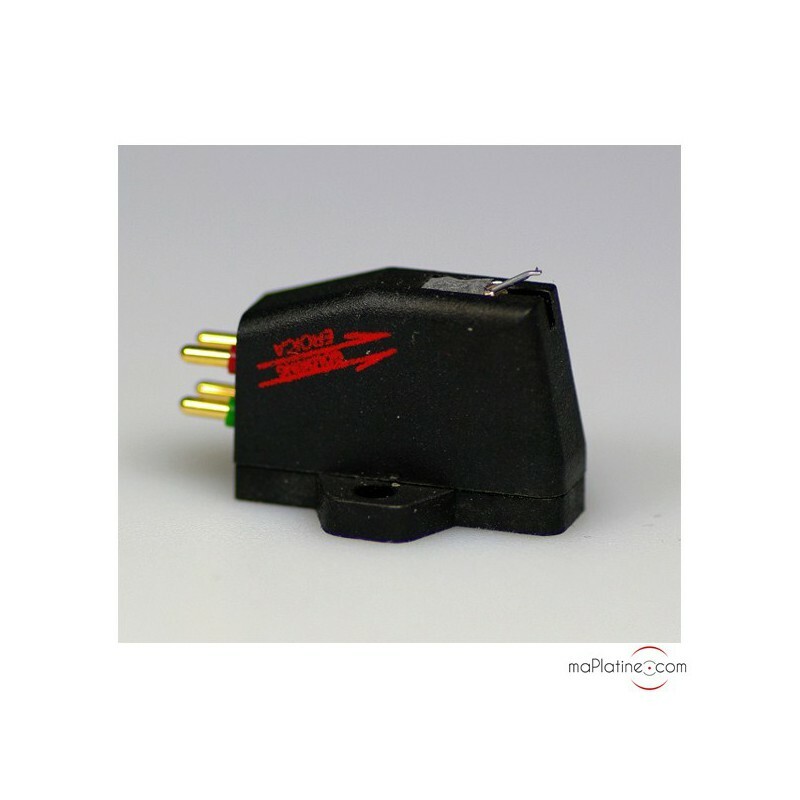 The Eroica is the British manufacturer's very first MC cartridge. 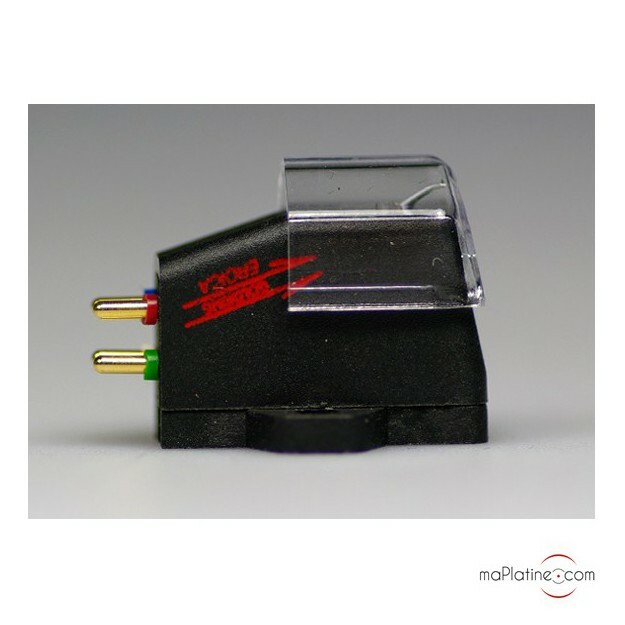 The weight, tracking force and compliance (18) make it compatible with most high-quality tonearms. 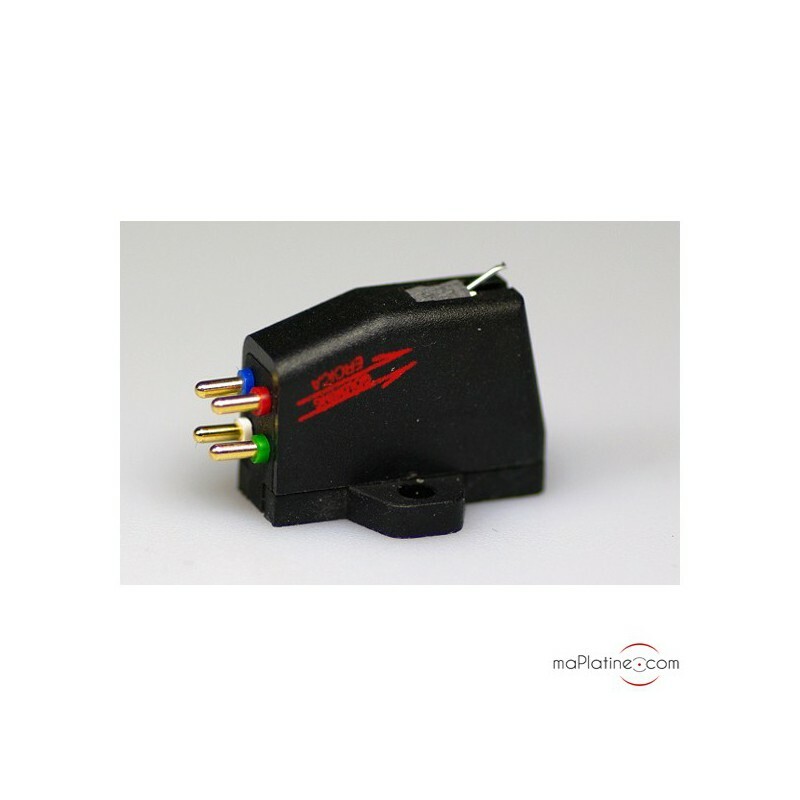 This high output variant (2.5 mV/47 KOhms) make it compatible with a good quality MM phono preamplifier. 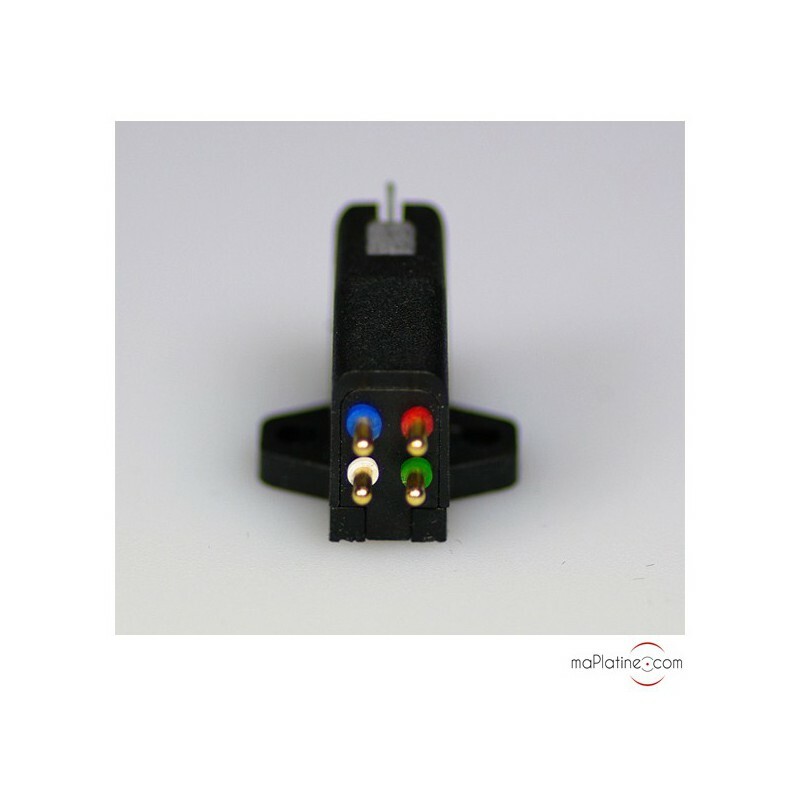 The Stylus has an extremely complex and precise elliptical profile, 'Gyger II'. It is very similar to the original lathe and, thanks to its shape, it perfectly comes in contact with the groove, enabling amazing tracking and very low surface noise. The aluminium cantilever has a conical design. The stylus/cantilever assembly is fairly light, which makes it very swift. The Eroica's sound quality is both very neutral and in place. The bass is tight and very well articulated. It boasts very rich and precise timbre. The sound stage is wide and authentic. It focuses on the melodic side of the music and is very detailed and precise. It can also be described as very versatile as it did a great job with rock, jazz and classical music. We consider this Goldring Eroïca H a complete success and it is one of our top picks in this category.